HPOur most popular mattress. 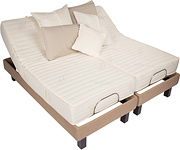 Genuine talalay laminated latex that contains 6.0″ center core with 1.0″ softer latex top and bottom. Available in four firmnesses: Plush (19-28-19), Regular Firm (19-32-19), Extra Firm (24-36-24) and Ultra Firm (28-44-28). Very soft natural Bamboo fabric. 20 year prorated warranty. Channel quilt is a combination of super soft foam and polyester. Suede Border. Reversible. LatexThis mattress uses pure Talalay Latex which will mold around your body. Genuine talalay 6.0” latex core that is available in four firmnesses: Soft ILD 24, Regular Firm ILD 32, Extra Firm ILD 36 and Ultra Firm ILD 44. Same warranty, fabric and quilt as Model HP. Reversible. Organic Comfort®This mattress uses organic latex and organic cotton fabric for superior sleep. GOLS certified Organic core with a 6.0″ center core with 1.0″ softer latex top and bottom. Each available in three firmnesses, Plush , Cushion Firm & Superior Firm. 100% GOTS Organic cotton fabric with Natural wool channel quilt. Same warranty as Model HP. Reversible. CoilOur fabric encased coil mattress gives unbeatable support and comfort. 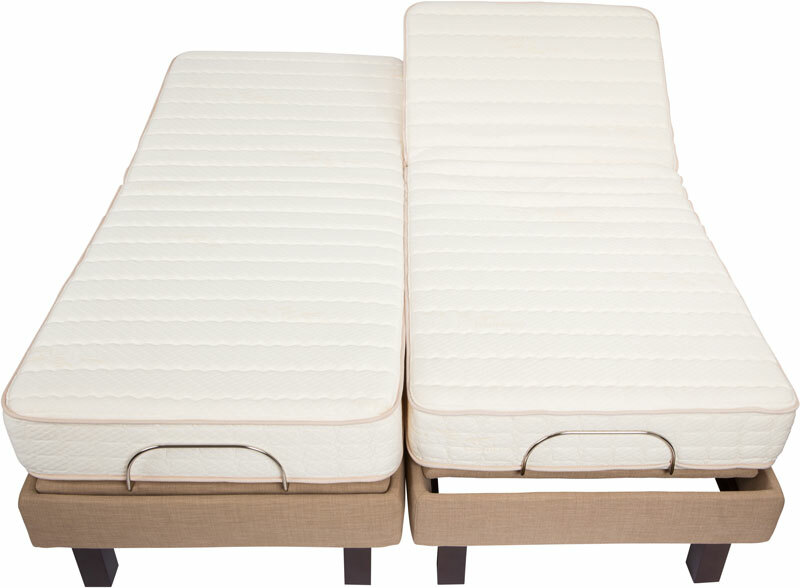 Fabric encased coil innerspring mattress made exclusively for adjustable beds. 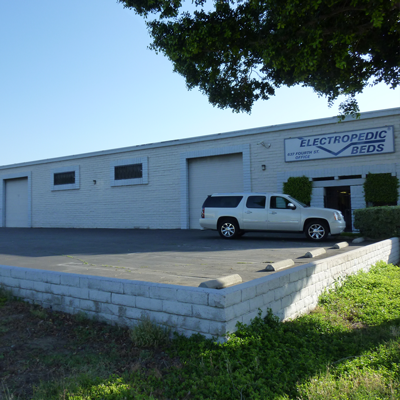 The foam encasement has specialty slotted rails to promote bending and ventilation. Available in two firmness: Regular Firm or Extra Firm. Same warranty, fabric and quilt as HP. Reversible. WH1This base comes with a wired remote. DC lift motors provide quiet powerful operation; Head and foot motors can be operated at the same time; Wired control is lite touch and low-voltage; Single speed massager with 30 minute timer is included. Battery backup. Locking casters. All standard sizes. WH2Using a wireless remote has never been so easy. Be at ease as the dual speed massagers relax your muscles. RF wireless backlit handset that is activated by touch. DC lift motors provide quiet powerful operation; Zero gravity one touch setting and one touch flat. Dual three speed massagers, one for the back and one for the legs. Massage is controlled by a timer that can be adjusted to your choice of three settings; 10, 20 or 30 minutes. Battery backup.850 pound weight capacity inclusive of mattress. Locking casters. All standard sizes. WH3Our superior upholstered base offers top of the line features. Furniture like upholstered foundation. Handset similar to WH2 but 2 two additional memory positions: TV and Relax. Massagers have six speeds instead of the three in the WH2.Battery backup. 850 pound weight capacity inclusive of mattress. Wooden legs. Available sizes: Twin x 80, 36 x 84 & Queen. Genuine talalay 6.0” latex core that is available in four firmnesses: Soft ILD 24, Regular Firm ILD 32, Extra Firm ILD 36 and Ultra Firm ILD 44. Same warranty, fabric and quilt as Model HP. Reversible.